They say you only find love when you stop looking for it. Is this really so? We took to the streets on a love quest– pounding the pavement with our peepers peeled to see what we could find. We took it slow. We didn’t want to rush into anything, but things were looking promising. Probably just a fluke. But then this? Hold up– maybe things are moving a bit too fast. Don’t want my heart to end up here. Thanks to all the artists out there putting love on the streets. Check out the stripeycity shop to find quirky handmade sweet nothings for your sweet something this Valentines day. Take note. Our handmade upcycled photo notebooks are one of a kind. Pick a theme that strikes your fancy– from Pizza to Urban Birding to Mid Mod Architecture. Original urban photography inside and out is sure to inspire some bright ideas. Tour our mini journals here and put one in your pocket! It tells you where to park, what’s for sale, or how much for a haircut. I may not go in for the advertised clutch job or psychic reading, but I’m sold on the peeling-paint fonts and colorful crooked letters that make the walls come to life. 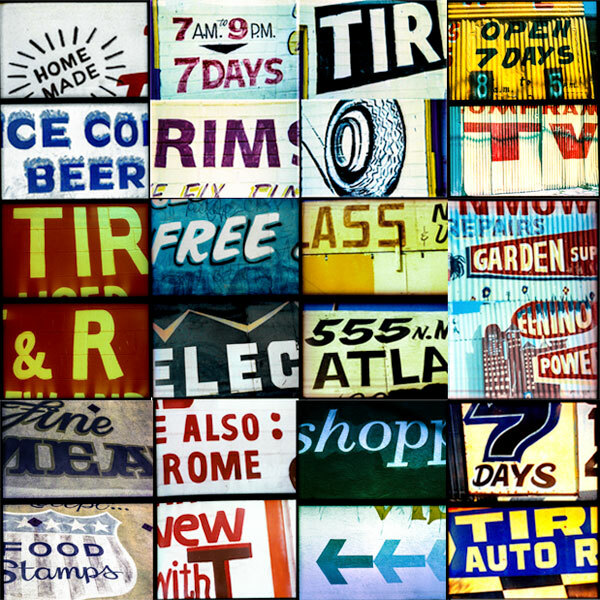 A field trip through the city is a walk through a typographic gallery. It’s as if these walls can talk. Check out our urban typography mini journal here http://etsy.me/1z0VNzF . Perfect for recording field notes on your urban rambles. Sprouting skyward out of the cracked bubbling blacktops of abandoned city parking lots, the rusty streetlights quietly weather out their last stand against the next nondescript stucco development that will inevitably usurp their real estate. Admiring these geometric giants orbiting above the urban sprawl, one can begin to imagine how the past was lit. 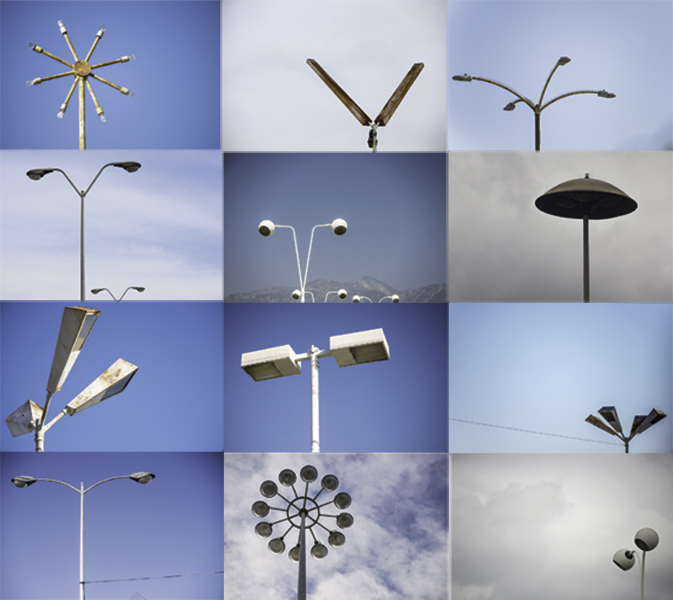 To see a bunch of old LA streetlights standing together in one random parking lot, check out Vermonica created by Sheila Klein. You can find more photos of Los Angeles’ urban landscape at stripeycity.